*If you’re in the sprawling Boston TV market a year or so from now and you’re looking for Jimmy Fallon, Sunday Night Football, the Today Show or anything else on NBC, where will you tune? Twenty years after the Peacock moved to Sunbeam’s WHDH-TV (Channel 7), the always-tense relationship between the network and its eastern MASSACHUSETTS affiliate is hanging by a thread as the current contract ticks down to its expiration at the end of 2016. Even before NBC was sold to Comcast, it was no secret that the network had been looking for alternatives to WHDH in the market – and that those alternatives could include the launch of what would amount to an all-new station in the market. NBC owns WNEU (Channel 60) up in New Hampshire, which currently carries Telemundo programming and reaches nearly all of the market on cable and satellite. The sale to Comcast brought more resources into the fold in the form of Comcast-owned New England Cable News and Comcast Sports Network New England. To that, this week’s news adds another potential piece of talent that a new “NBC Boston” could tap: Pete Bouchard resigned as WHDH chief meteorologist, fueling rumors that he could be following the NBC affiliation to a new home alongside anchor Maria Stephanos, who’s been silent about her future after being ousted from Fox affiliate WFXT (Channel 25). NBC’s long history with Ed Ansin. Long before WHDH even became an NBC affiliate, Sunbeam owner Ed Ansin tangled with the network at his flagship station, WSVN in Miami. Ansin’s 1988 decision to drop NBC and go with Fox at WSVN was a blow that NBC management didn’t forget easily; when NBC lost its Boston affiliation with WBZ-TV in 1994, it considered several other options before affiliating with WHDH. The relationship has been prickly ever since, especially when WHDH rebelled against carrying Jay Leno’s 10 PM show in 2009. Boston is the largest market in which NBC doesn’t own its outlet, which has been a point of contention for the network going all the way back to its failed 1960 attempt to buy channel 7, then WNAC-TV. The long memories of a stubborn market. At WHDH, it took Ansin many years and millions of dollars to make channel 7 a top-rated player in a landscape where WBZ and WCVB had long dominated. That’s a lesson NBC knows well, having invested its own millions to make KNTV (Channel 11) a player in the San Francisco market after pulling its affiliation from its longtime home at KRON (Channel 4). Even if it can put together star players such as Stephanos and Bouchard, could NBC make a dent with a new local news product in a crowded market, at a time when the relevance of local TV news is arguably on the decline? It’s a gamble at best. What would WHDH look like after NBC? 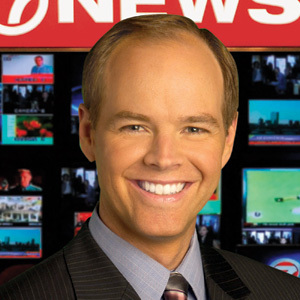 Ansin has already demonstrated a recipe for surviving without a strong network tie – at WSVN, the Fox affiliation was initially just an afterthought in a broadcast day filled with wall-to-wall local news. If NBC does cut ties with WHDH, it’s not hard to imagine “7 News” expanding into morning and 10 PM slots now filled with network programming. Beyond that, would Ansin move programming from the resurgent CW network over to WHDH from his second Boston signal, WLVI (Channel 56)? Cord-cutters and broadcast signals. Even in a market with heavy cable penetration, “NBC Boston” on WNEU would start with a significant disadvantage – the New Hampshire-based signal simply doesn’t make it to antenna-using viewers in the core of the Boston market. Is NBC ready to bid farewell to perhaps as much as 20% of the market’s TV homes – the equivalent of going dark entirely in a market the size of Springfield or Fargo? Improving the WNEU signal becomes more of a challenge against the backdrop of a bigger change in over-the-air broadcasting, the spectrum auction and repack that will get underway early next year. Will NBC want to take that risk? *Here’s a combination we’d never have imagined in our MASSACHUSETTS days 20 years ago – legendary rock jock Oedipus doing a Christmas Eve show on…WGBH? The veteran WBCN programmer is indeed bringing “Christmas Eve with Oedipus” to the public radio outlet at 89.7, where management has been aggressively tapping commercial broadcasting veterans in an attempt to draw new listeners. Calling WGBH “such an innovative radio station,” Oedipus says he’ll be playing his holiday tunes from 6 PM until midnight on Christmas Eve. Oedipus isn’t the only prominent WBCN alumnus making a Boston appearance for the holidays. 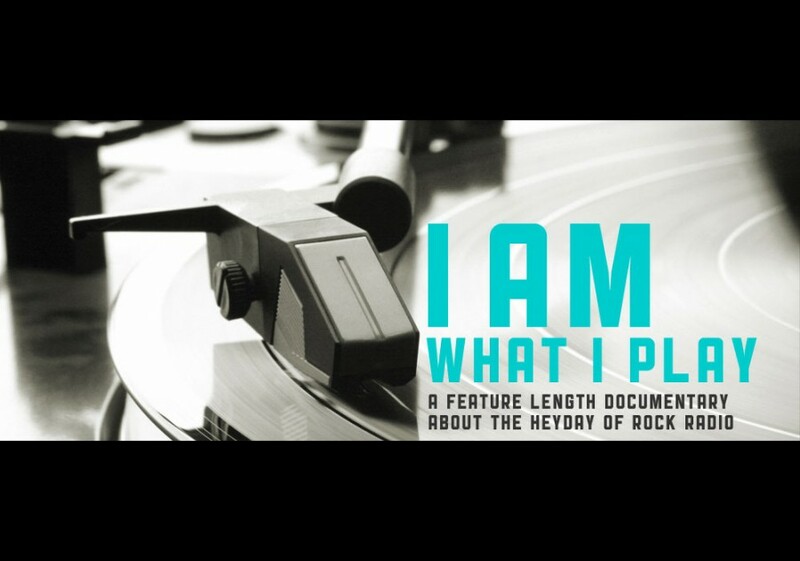 Charles Laquidara will be back in Boston from his Hawaii retirement for a Wednesday screening of “I Am What I Play,” Roger King’s documentary about Laquidara and three other legendary rock DJs. King will also be on hand for the screening, which takes place at the Regent Theatre in Arlington starting at 6:30. *On the North Shore, Costa-Eagle tells the FCC it’s losing the transmitter site for WMVX (1570 Beverly), which has operated for a decade and a half from a rocky patch of land on Endicott College property. WMVX is applying to change its city of license to Methuen and to relocate to the tower of sister station WNNW (800 Lawrence). From that site in Andover, 1570 would continue to crank out 50,000 watts non-directionally by day, dropping to 460 watts at night. Even with all that power, the high dial position means the 50 kW signal wouldn’t go very far, mainly covering the Merrimack Valley and losing the coastal coverage that WMVX now enjoys from the Endicott College site. *In Amherst, WMUA (91.1) has been in the headlines for most of the year as community programmers have battled with UMass students over the focus of the station, a fight that got extra attention after several longtime community hosts lost their airshifts in April. It’s a conflict that flares up from time to time at college stations, where student interest and leadership sometimes waxes and wanes as they come and go, leaving room for some community programmers to establish themselves for many years and even decades. At WMUA, the university is siding with the students: on Tuesday, it announced that community programmers will now be limited to no more than 24 hours out of the WMUA broadcast week, using student activity funds to replace whatever donations are lost from supporters of the cancelled community shows. UMass also plans to hire a full-time station manager for WMUA. *The end of 2015 is bringing some big changes on the AM dial in MAINE‘s largest market with a sale from one group and a format change at another. The sale first: Bill Binnie has never shown much interest in AM, and so perhaps the only surprise in Binnie Media’s sale of WLVP (870 Gorham) and WLAM (1470 Lewiston) is that it took as long as it did. Binnie got the pair of AMs as part of his purchase of Nassau Broadcasting, but it was no big secret that the real prize was Nassau’s FMs, including top-rated WFNK (107.5) and WTHT (99.9). So who does want AM in Maine? Bob Bittner has become the go-to buyer for AMs that need some love, and now his Blue Jey group is paying Binnie just $135,000 for WLVP and WLAM, which will join his Maine flagship WJTO (730 Bath, plus a 98.3 translator) and WJYE (1280 Gardiner). It’s a remarkably low price, especially considering what Binnie spent just this year to demolish the old WLAM studio in Lewiston and renovate the facility into a smaller transmitter-only building. Bittner tells NERW that he’ll develop a new music format for 870 and 1470, “something old” that won’t duplicate the AC/standards mix that he runs in Bath on “Memories” WJTO. Meanwhile at Saga’s Portland Radio Group, it’s a demotion for the mix of second- and third-tier syndicated talk that’s been running on WZAN (970 Portland). Saga is pulling the plug on the Westwood One AC format that’s been on WBAE (1490 Portland) and starting a simulcast between 970 and 1490; after the new year, 1490 will become the new home of the WZAN lineup – Don Imus, Laura Ingraham, Dave Ramsey, Sean Hannity – while 970 will become a full-time ESPN Radio relay. *A NEW HAMPSHIRE AM station is changing hands in the Lakes Region, where Winnipesaukee Network Inc. is selling WASR (1420 Wolfeboro) to John Kenney’s Winnipesaukee Radio Station LLC. Kenney’s group is paying $150,000 for the station. There’s a new LPFM getting ready to hit the air in Bedford: WBNH-LP (101.5), licensed to the town of Bedford, is building out its transmitter site in front of the Bedford Community TV studios. When it hits the air in January, it will program a mix of local information (especially emergency alerts), sports and other hyper-local fare. Harry Kozlowski, who recently sold classical WCNH (91.5) to New Hampshire Public Radio, is on board as station manager. Speaking of NHPR, it has a new director of engineering. Rick Zach, fresh off his hard work building out Bill Binnie’s new Concord broadcast center, has joined the statewide public radio network. Zach is perhaps best known in the region for his many years at the engineering helm of Boston’s WCVB (Channel 5). But this round of CBS job cuts hit at both ends of PENNSYLVANIA, too. In Philadelphia, Andy Bloom lost his job as operations manager at WIP (94.1) and WPHT (1210). He’d been with WIP and the former WYSP since 2007. In Pittsburgh, WDSY (107.9) continues to lose veteran staffers; this time, morning host Brian Montgomery. “Monty” had been a Y108 morning voice for 22 years, surviving the cuts last year that claimed the job of his co-host Jimmy Roach. Next door at WBZZ (Star 100.7), Mike Flick is gone as APD/MD and afternoon co-host, leaving Kelly Langenohl solo on afternoons. And we send deep condolences to Ray Thomas at Carlisle’s WIOO/WEEO and WHYL on the death Sunday of his wife, Gayle Uilkema-Thomas. She’d been suffering from heart disease for much of her life, but Thomas says it had been under control recently. A memorial service is scheduled for Dec. 29. 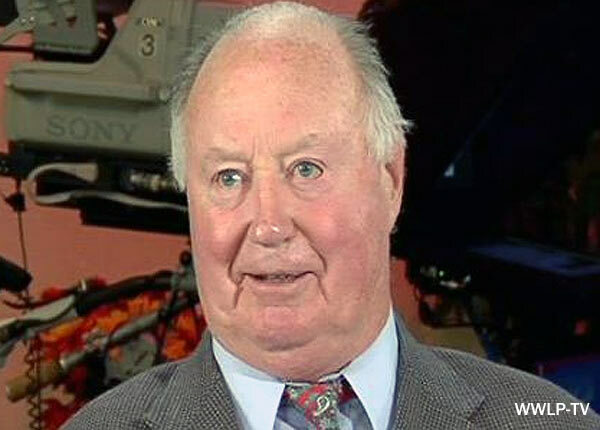 *Phil Pepe is being remembered mainly for his long career as a NEW YORK sportswriter, first at the old World-Telegram and Sun and then for the Daily News, but he was also an important part of WCBS-FM (101.1), where he was morning sports anchor from 1986 until 2001. Pepe also called New Jersey Cardinals baseball on the radio until 2005. He died December 13 at his New Jersey home, at age 80. Nexstar has named a new news director at WSYR-TV (Channel 9) in Syracuse, and it’s a well-known local veteran. Jim Campagna has been at channel 9 for more than 20 years, and was part of the WHEN (620) news team before that. He’d been serving as co-interim news director with Sabrina Betts since the station’s last news director, Phil Rankin, exited. 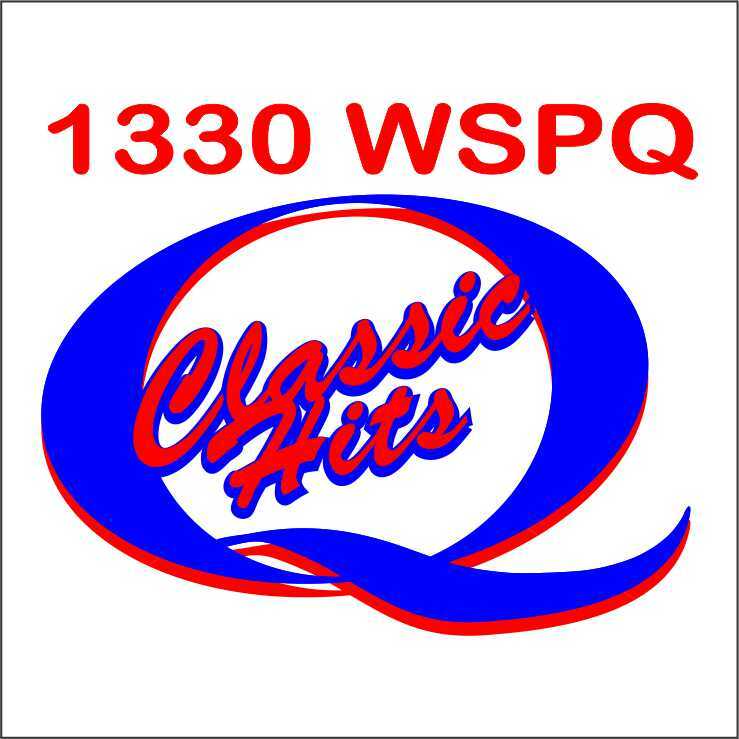 South of Buffalo, WSPQ (1330 Springville) was off the air for a month after suffering antenna system failure just before Thanksgiving. The classic hits station came back on the air Saturday. In Jamestown, Bible Broadcasting Network translator W203BV (88.5) has been displaced by the power boost just across the Pennsylvania state line at WYVL (88.5 Youngsville); it’s now applying for a new home up the dial at 91.9, where it would continue to carry BBN programming from South Carolina via satellite. On the west shore of Lake Champlain, Chip Morgan’s WMUD-LP in Moriah has a new spot on the dial. Displaced from 89.3 when VERMONT Public Radio got 89.1 for a full-power signal in Middlebury, WMUD-LP is now back on the air at 107.3 on the dial, where it’s relaying Catholic radio for the moment. *And that’s a wrap on the last regular NERW report for 2015! But never fear – we’ll be here through the holidays with updates on our Facebook and Twitter feeds (and here, too, if it’s big enough). And our big 2015 Year in Review package starts in this space on Monday morning, Dec. 28. We’ll return with our next scheduled NERW issue on Monday, January 4, 2016. In the meantime, Lisa and I thank all of you for your continued support and wish you the happiest of holidays and a wonderful new year! The last links to the pioneering days of television in the Northeast are rapidly leaving us, and as we prepare to close the books on the last regular NorthEast Radio Watch column for 2014, there’s news that we’ve lost a very big one. William Lowell Putnam III was the descendant of some very important New England families – his great-uncle Percival Lowell was a prominent astronomer whose Lowell Observatory was an important part of Putnam’s life – but he made his name in broadcasting in the earliest days of UHF television. Fresh from service in World War II, a young Putnam lent his initials and his energy to the founding of Springfield’s first TV station (and New England’s first UHF outlet), which took his initials when it signed on in 1953 as WWLP-TV on channel 61. Over the decades that followed, Putnam moved WWLP to its present channel 22, added (and then shut down) several relay stations, WRLP (Channel 32) in Greenfield and WWOR (Channel 14) in Worcester, and eventually took his Springfield Television group to new markets outside the region, most notably Dayton, Ohio and Salt Lake City. And along the way, too, Putnam married his assistant, Katherine (Kitty) Flynn Broman, who ended up helping to run the company and lent her own initials to its Dayton station, WKEF (also on channel 22). Downtown at iHeart, there’s a change of command at the programming helm of Z100 (WHTZ 100.3 Newark). Sharon Dastur, who’s been PD there since 2006 (and spent a decade in other roles at the station before that), has been named iHeart’s “Senior VP of Program Integration,” where she will “create cutting-edge programs that leverage the company’s assets for brands and partners and will assist with the program execution with artist, managers and labels.” What does that mean? Think the “iHeart Radio Music Festival,” “Jingle Ball” and other big events, where Dastur will be working to create even more links between radio and music labels. Z100’s first PD opening in eight years is being filled within the company, but from outside the market: Mark Medina, who’s been programming iHeart top-40 stations WIHT (99.5 Washington) and WZFT (104.3 Baltimore), moves up to take the Z100 job. At the southern end of NEW JERSEY, WJKS (101.7 Canton) and WFAI (1510 Salem) are joining a cluster in the Delaware market that they serve. AllAccess reports Delmarva Broadcasting, which already owns WSTW (93.7) and WDEL (1150) in Wilmington, is paying QC Communications $3.25 million for the stations, which have been running urban AC on the FM (“Kiss 101.7”) and religion on the AM (“Faith 1510”). The stations have been operating from Wilmington studios for quite a while now, with only transmitters on the New Jersey side. *There’s a new signal on the air in southern Ontario, CANADA. CKYY (89.1 Welland) began testing last week ahead of an early 2015 launch as “Country 89.” The new signal is a sister to RB Communications’ CIXL (91.7 Welland), and its country format picks up where CIXL’s AM predecessor, CHOW (1470), left off more than a decade ago. The future of one of eastern MASSACHUSETTS’ most powerful FM signal is a little clearer this week – but Greater Media’s announcement that it’s entered into exclusive negotiations to buy WCRB (102.5 Waltham) from Charles River Broadcasting raises just as many questions as it’s likely to answer. The answers, first: Charles River’s decision to sit down at the table with Greater Media closes the book (most likely) on several months of talks with potential buyers that included Clear Channel, Entercom, Infinity, Marlin and, reportedly, the Boston Red Sox. Neither Clear Channel nor Infinity has said anything publicly about what their intentions for 102.5 would have been. Marlin’s Woody Tanger says he would have kept WCRB’s classical format, but his bid, in the $60 million range, fell far short of Charles River’s target. Entercom’s Julie Kahn told Boston media outlets that she would have moved the rock format of WAAF (107.3 Worcester) to 102.5 and kept classical alive on 107.3. The Sox would no doubt have created a sports station on the frequency, in what would have been a major challenge to Entercom’s market-dominating WEEI. So what will Greater Media do with the full-market 102.5 signal, if it’s able to complete a deal with Charles River (likely for an amount somewhere north of $90 million)? The company’s already at the FCC-imposed limit of five FM signals in the Boston market. Four of those are full-market signals, transmitting from the Prudential Tower (WBOS 92.9, WTKK 96.9, WROR 105.7 and WMJX 106.7). The fifth – and the one Greater Media would no doubt spin off if it acquires WCRB – is country WKLB (99.5 Lowell), which transmits from Andover, with an excellent signal over Boston’s northern suburbs, the Merrimack Valley and southern New Hampshire, but without the reach into Boston or the western and southern suburbs that Greater Media would like to have. And yes, Howard Stern’s departure from terrestrial radio is our top story from NEW YORK this week. Love him or hate him – and we’ll admit to a little of both – it’s hard to argue that his two decades at WXRK (92.3 New York) didn’t change the conception of what a radio morning show could be. The turnout on West 56th Street on a drizzly Friday morning – tens of thousands of Stern fans waiting for several hours to see Howard and his crew say their farewells (and to repeat, over and over again, that his show was “the last of a dying breed”) – was itself something of a testament to the bond Stern and his radio family forged with their listeners over the years, and it’s prompted much head-scratching over the question of where those listeners will go now. Will they rush out to buy Sirius receivers and subscriptions? Will they give David Lee Roth a chance? Will they leave radio entirely? In the meantime, Stern’s now-former station in New York, WXRK (92.3), says it will roll out its new WFNY-FM calls on January 1, followed quickly by the new daytime schedule that now officially includes JV and Elvis (aka the Doghouse) in middays. The station will continue to play rock on the weekends, with an airstaff that includes Julie Slater (the only remaining WXRK jock) and veterans Harris Allan and Dan Neer. In Albany, the Stern fallout turns out to include a format change, as Regent’s WQBK (103.9 Rensselaer)/WQBJ (103.5 Cobleskill) flip from modern rock “The Edge” to active rock “Q103,” adding more classic rock (and the Michigan-based “Free Beer and Hot Wings” morning show) to the schedule. The other big story from New York this week was Bob Grant’s announcement that he’ll be leaving WOR (710) in January. Grant came to WOR in 1996 after his comments about former Commerce Secretary Ron Brown got him ousted from his longtime home at WABC; and he’s never had the same visibility in his 4-6 PM slot on WOR that he did in earlier years. WOR’s moving away from political talk when Grant leaves; he’ll be replaced by chef Rocco diSpirito in that prime drivetime slot. A new era is about to dawn in Toronto radio — on one of the city’s most venerable frequencies. NERW was scanning the dial on Friday afternoon and caught one of the first tests of CHWO (740), the new 50,000 watt voice of “Prime Time Radio.” The new station will operate from the Hornby transmitter site that was home to the original Toronto 740, the CBC’s flagship CBL, from the 1930s until the station moved to FM last year. But while CHWO is paying the CBC for the use of the Hornby site, it could soon be writing those checks to someone else. The CBC issued a “Request for Information” last week to begin exploring the possibility of selling its huge network of transmitter sites across Canada to a private operator, which would then lease transmission services back to the CBC. For tower-management companies, the deal would provide access to a huge amount of vertical real estate in both rural and urban Canada, while for the CBC, the deal would provide plenty of cash for the conversion to digital radio and TV — and a guarantee that CBC services will retain priority use of the sites. From RHODE ISLAND comes word that Clear Channel is selling WPRI-TV (Channel 12) to Hicks, Muse-funded Sunrise Television. Sunrise owns WNAC (Channel 64), which has been operated by WPRI for the last few years under an LMA. Does that mean a duopoly in Providence? Not without a waiver, since there are fewer than the “magic” eight separate TV voices in the Providence market. Clear Channel keeps its radio cluster in Rhode Island: WHJJ (920 Providence), WSNE (93.3 Taunton), WHJY (94.1 Providence), and WWBB (101.5 Providence).